The principal sources of information concerning the life and ministry of St. John the Baptist are the canonical Gospels. Of these St. Luke is the most complete, giving as he does the wonderful circumstances accompanying the birth of the Precursor and items on his ministry and death. 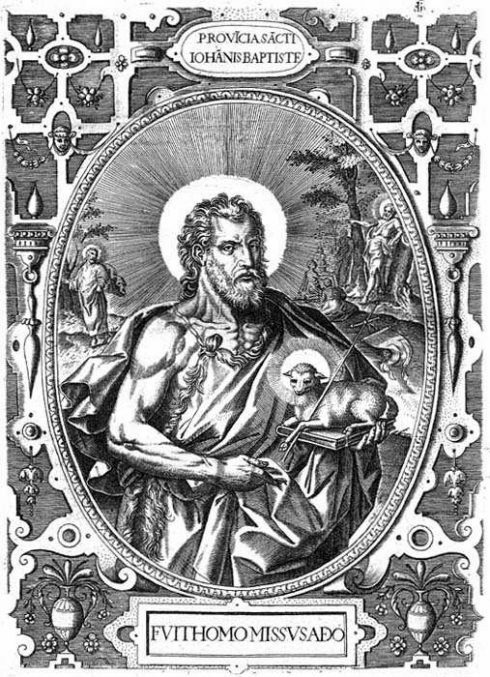 St. Matthew’s Gospel stands in close relation with that of St. Luke, as far as John’s public ministry is concerned, but contains nothing in reference to his early life. From St. Mark, whose account of the Precursor’s life is very meagre, no new detail can be gathered. Finally, the fourth Gospel has this special feature, that it gives the testimony of St. John after the Saviour’s baptism. Besides the indications supplied by these writings, passing allusions occur in such passages as Acts, xiii, 24; xix, 1-6; but these are few and bear on the subject only indirectly. To the above should be added that Josephus relates in his Jewish Antiquities (XVIII, v, 2), but it should be remembered that he is woefully erratic in his dates, mistaken in proper names, and seems to arrange facts according to his own political views; however, his judgment of John, also what he tells us regarding the Precursor’s popularity, together with a few details of minor importance, are worthy of the historian’s attention. The same cannot be said of the apocryphal gospels, because the scant information they give of the Precursor is either copied from the canonical Gospels (and to these they can add no authority), or else is a mass of idle vagaries. 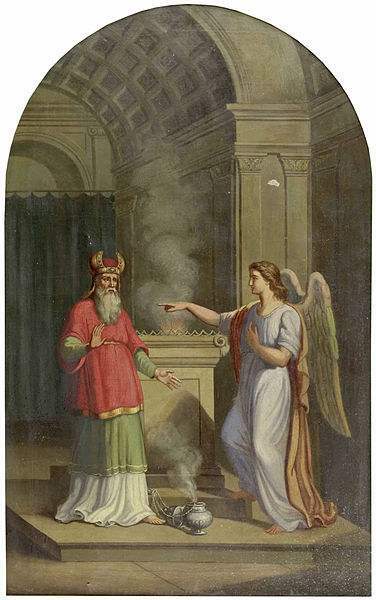 The Angel St. Gabriel appearing to Zacharias. 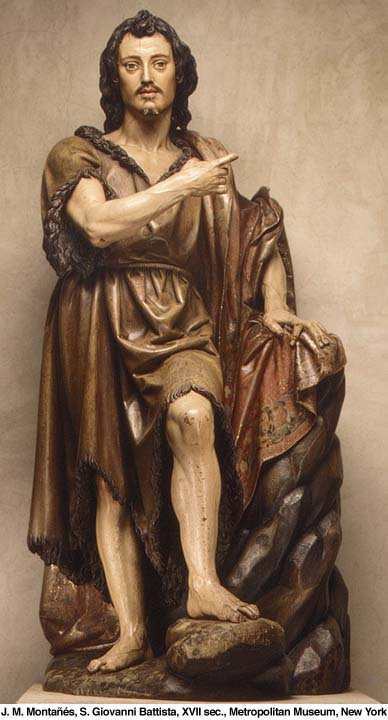 Zachary, the father of John the Baptist, was a priest of the course of Abia, the eighth of the twenty-four courses into which the priests were divided (I Par., xxiv, 7-19); Elizabeth, the Precursor’s mother, “was of the daughters of Aaron”, according to St. Luke (I, 5); the same Evangelist, a few verses farther on (I, 26), calls her the “cousin” (syggenis) of Mary. These two statements appear to be conflicting, for how, it will be asked, could a cousin of the Blessed Virgin be “of the daughters of Aaron”? The problem might be solved by adopting the reading given in an old Persian version, where we find “mother’s sister” (metradelphe) instead of “cousin”. A somewhat analogous explanation, probably borrowed from some apocryphal writing, and perhaps correct, is given by St. Hippolytus (in Nicephor., II, iii). According to him, Mathan had three daughters: Mary, Soba, and Ann. Mary, the oldest, married a man of Bethlehem and was the mother of Salome; Soba married at Bethlehem also, but a “son of Levi”, by whom she had Elizabeth; Ann wedded a Galilean (Joachim) and bore Mary, the Mother of God. Thus Salome, Elizabeth, and the Blessed Virgin were first cousins, and Elizabeth, “of the daughters of Aaron” on her father’s side, was, on her mother’s side, the cousin of Mary. Zachary’s home is designated only in a vague manner by St. Luke: it was “a city of Juda”, “in the hill-country” (I, 39). Reland, advocating the unwarranted assumption that Juda might be a misspelling of the name, proposed to read in its stead Jutta (Jos., xv, 55; xxi, 16; D.V. ; Jota, Jeta), a priestly town south of Hebron. But priests did not always live in priestly towns (Mathathias’s home was at Modin; Simon Machabeus’s at Gaza). 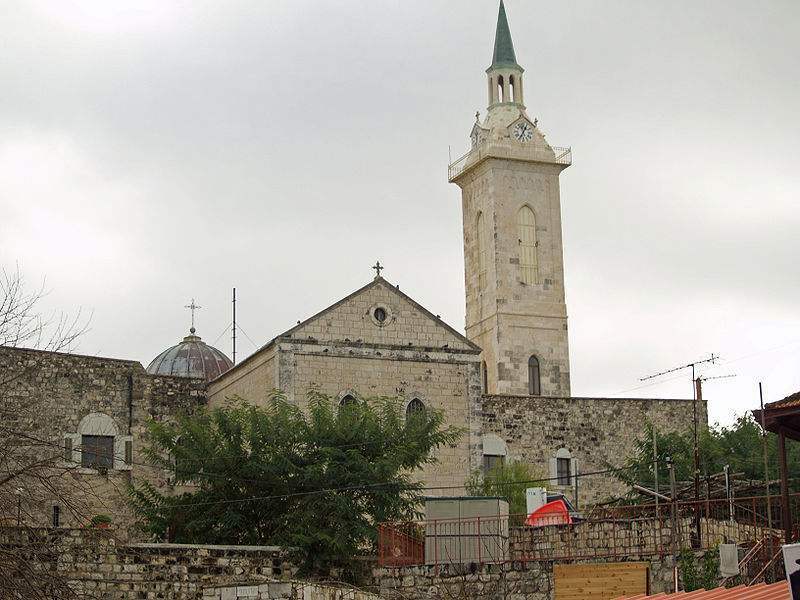 A tradition, which can be traced back to the time before the Crusades, points to the little town of Ain-Karim, five miles south-west of Jerusalem. 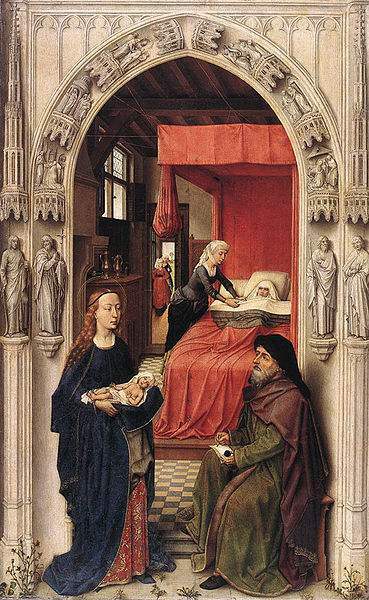 The birth and naming of John the Baptist, painted by Rogier van der Weyden. The birth of the Precursor was announced in a most striking manner. Zachary and Elizabeth, as we learn from St. Luke, “were both just before God, walking in all the commandments and justifications of the Lord without blame; and they had no son, for that Elizabeth was barren” (i, 6-7). Long they had prayed that their union might be blessed with offspring; but, now that “they were both advanced in years”, the reproach of barrenness bore heavily upon them. “And it came to pass, when he executed the priestly function in the order of his course before God, according to the custom of the priestly office, it was his lot to offer incense, going into the temple of the Lord. And all the multitude of the people was praying without, at the hour of incense. And there appeared to him an angel of the Lord, standing on the right side of the altar of incense. And Zachary seeing him, was troubled, and fear fell upon him. But the angel said to him: Fear not, Zachary, for thy prayer is heard; and they wife Elizabeth shall bear thee a son, and thou shalt call his name John: and thou shalt have joy and gladness, and many shall rejoice in his nativity. For he shall be great before the Lord; and shall drink no wine nor strong drink: and he shall be filled with the Holy Ghost, even from his mother’s womb. And he shall convert many of the children of Israel to the Lord their God. And he shall go before him in the spirit and power of Elias; that he may turn the hearts of the fathers unto the children, and the incredulous to the wisdom of the just, to prepare unto the Lord a perfect people” (i, 8-17). As Zachary was slow in believing this startling prediction, the angel, making himself known to him, announced that, in punishment of his incredulity, he should be stricken with dumbness until the promise was fulfilled. “And it came to pass, after the days of his office were accomplished, he departed to his own house. And after those days, Elizabeth his wife conceived, and hid herself five months” (i, 23-24). 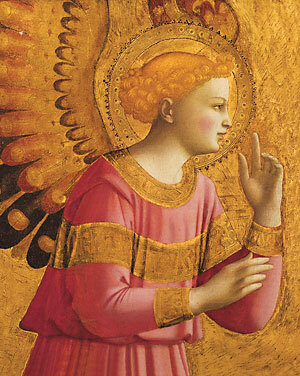 Detail of the painting by Blessed Fra Angelico of the Archangel Gabriel. Now during the sixth month, the Annunciation had taken place, and, as Mary had heard from the angel the fact of her cousin’s conceiving, she went “with haste” to congratulate her. “And it came to pass, that when Elizabeth heard the salutation of Mary, the infant” — filled, like the mother, with the Holy Ghost — “leaped for joy in her womb”, as if to acknowledge the presence of his Lord. Then was accomplished the prophetic utterance of the angel that the child should “be filled with the Holy Ghost even from his mother’s womb”. Now as the presence of any sin whatever is incompatible with the indwelling of the Holy Ghost in the soul, it follows that at this moment John was cleansed from the stain of original sin. When “Elizabeth’s full time of being delivered was come,. . .she brought forth a son” (i, 57); and “on the eighth day they came to circumcise the child, and they called him by his father’s name Zachary. And his mother answering, said: Not so, but he shall be called John. And they said to her: There is none of thy kindred that is called by this name. And they made sign to his father, how he would have him called. And demanding a writing table, he wrote, saying: John is his name. And they all wondered” (i, 59-63). They were not aware that no better name could be applied (John, Hebr. ; Jehohanan, i.e. “Jahweh hath mercy”) to him who, as his father prophesied, was to “go before the face of the Lord to prepare his ways; to give knowledge of salvation to his people, unto remission of their sins: through the bowels of the mercy of our God” (i, 76- 78). 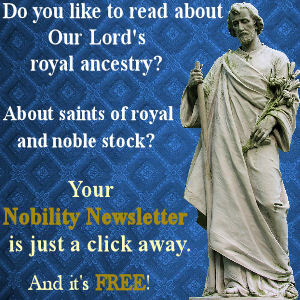 Moreover, all these events, to wit, a child born to an aged couple, Zachary’s sudden dumbness, his equally sudden recovery of speech, his astounding utterance, might justly strike with wonderment the assembled neighbours; these could hardly help asking: “What an one, think ye, shall this child be?” (i, 66). As to the date of the birth of John the Baptist, nothing can be said with certainty. The Gospel suggests that the Precursor was born about six months before Christ; but the year of Christ’s nativity has not so far been ascertained. Nor is there anything certain about the season of Christ’s birth, for it is well known that the assignment of the feast of Christmas to the twenty-fifth of December is not grounded on historical evidence, but is possibly suggested by merely astronomical considerations, also, perhaps, inferred from astronomico-theological reasonings. 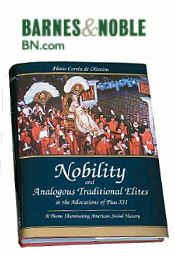 Besides, no calculations can be based upon the time of the year when the course of Abia was serving in the Temple, since each one of the twenty- four courses of priests had two turns a year. Of John’s early life St. Luke tell us only that “the child grew, and was strengthened in spirit; and was in the deserts, until the day of his manifestation to Israel” (i, 80). Should we ask just when the Precursor went into the wilderness, an old tradition echoed by Paul Warnefried (Paul the Deacon), in the hymn, “Ut queant laxis”, composed in honour of the saint, gives an answer hardly more definite than the statement of the Gospel: “Antra deserti teneris sub annis. . .petiit . . .” Other writers, however, thought they knew better. For instance, St. Peter of Alexandria believed St. John was taken into the desert to escape the wrath of Herod, who, if we may believe report, was impelled by fear of losing his kingdom to seek the life of the Precursor, just as he was, later on, to seek that of the new-born Saviour. It was added also that Herod on this account had Zachary put to death between the temple and the altar, because he had prophesied the coming of the Messias (Baron., “Annal. Apparat.”, n. 53). These are worthless legends long since branded by St. Jerome as “apocryphorum somnia”. Passing, then, with St. Luke, over a period of some thirty years, we reach what may be considered the beginning of the public ministry of St. John. Up to this he had led in the desert the life of an anchorite; now he comes forth to deliver his message to the world. “In the fifteenth year of the reign of Tiberius Caesar. . .the word of the Lord was made unto John, the son of Zachary, in the desert. And he came into all the country about the Jordan, preaching” (Luke, iii, 1-3), clothed not in the soft garments of a courtier (Matt., xi, 8; Luke, vii, 24), but in those “of camel’s hair, and a leather girdle about his loins”; and “his meat” — he looked as if he came neither eating nor drinking (Matt., xi, 18; Luke, vii, 33) — “was locusts and wild honey” (Matt. iii, 4; Mark, i, 6); his whole countenance, far from suggesting the idea of a reed shaken by the wind (Matt., xi, 7; Luke, vii, 24), manifested undaunted constancy. A few incredulous scoffers feigned to be scandalized: “He hath a devil” (Matt. xi, 18). Nevertheless, “Jerusalem and all Judea, and all the country about Jordan” (Matt., iii, 5), drawn by his strong and winning personality, went out to him; the austerity of his life added immensely to the weight of his words; for the simple folk, he was truly a prophet (Matt., xi, 9; cf. Luke, i, 76, 77). “Do penance: for the kingdom of heaven is at hand” (Matt., iii, 2), such was the burden of his teaching. Men of all conditions flocked round him. Pharisees and Sadducees were there; the latter attracted perhaps by curiosity and scepticism, the former expecting possibly a word of praise for their multitudinous customs and practices, and all, probably, more anxious to see which of the rival sects the new prophet would commend than to seek instruction. But John laid bare their hypocrisy. Drawing his similes from the surrounding scenery, and even, after the Oriental fashion, making use of a play on words (abanimbanium), he lashed their pride with this well-deserved rebuke: “Ye brood of vipers, who hath shewed you to flee from the wrath to come? Bring forth therefore fruits worthy of penance. And think not to say within yourselves, We have Abraham for our father. For I tell you that God is able of these stones to raise up children to Abraham. For now the axe is laid to the root of the trees. Every tree therefore that doth not yield good fruit, shall be cut down, and cast into the fire” (Matt., iii, 7-10; Luke, iii, 7-9). It was clear something had to be done. The men of good will among the listeners asked: “What shall we do?” (Probably some were wealthy and, according to the custom of people in such circumstances, were clad in two tunics.-Joseph., “Antiq.”, XVIII, v, 7). “And he answering, said to them: He that hath two coats, let him give to him that hath none; and he that hath meat, let him do in like manner” (Luke, iii, 11). Some were publicans; on them he enjoined not to exact more than the rate of taxes fixed by law (Luke, iii, 13). To the soldiers (probably Jewish police officers) he recommended not to do violence to any man, nor falsely to denounce anyone, and to be content with their pay (Luke, iii, 14). In other words, he cautioned them against trusting in their national privileges, he did not countenance the tenets of any sect, nor did he advocate the forsaking of one’s ordinary state of life, but faithfulness and honesty in the fulfillment of one’s duties, and the humble confession of one’s sins. 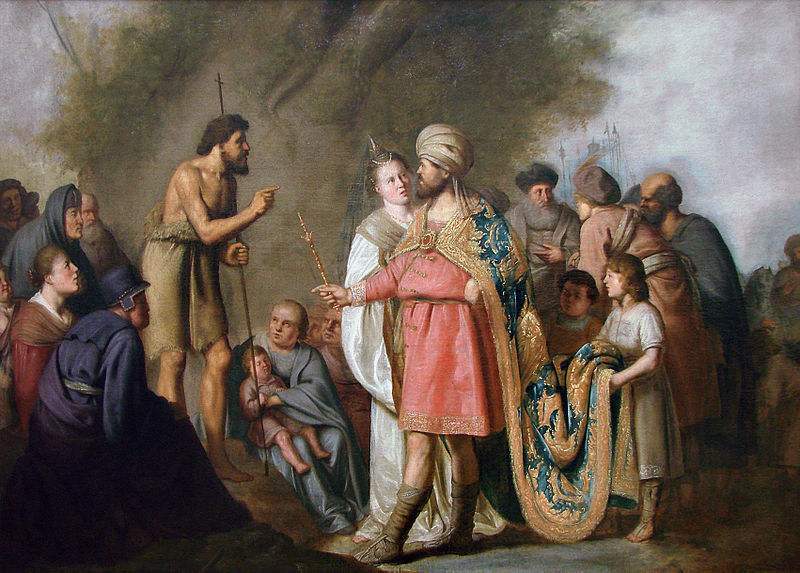 Saint John the Baptist preaching before Herod, painted by Pieter de Grebber. To confirm the good dispositions of his listeners, John baptized them in the Jordan, “saying that baptism was good, not so much to free one from certain sins [cf. St. Thom., “Summ. 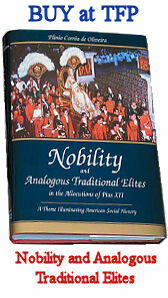 Theol.”, III, A. xxxviii, a. 2 and 3] as to purify the body, the soul being already cleansed from its defilements by justice” (Joseph., “Antiq.”, XVIII, vii). This feature of his ministry, more than anything else, attracted public attention to such an extent that he was surnamed “the Baptist” (i. e. Baptizer) even during his lifetime (by Christ, Matt., xi, 11; by his own disciples, Luke, vii, 20; by Herod, Matt., xiv, 2; by Herodias, Matt., xiv, 3). Still his right to baptize was questioned by some (John, i, 25); the Pharisees and the lawyers refused to comply with this ceremony, on the plea that baptism, as a preparation for the kingdom of God, was connected only with the Messias (Ezech., xxxvi, 25; Zach., xiii, 1, etc. ), Elias, and the prophet spoken of in Deut., xviii, 15. John’s reply was that he was Divinely “sent to baptize with water” (John, i, 33); to this, later on, our Saviour bore testimony, when, in answer to the Pharisees trying to ensnare him, he implicitly declared that John’s baptism was from heaven (Mark, xi, 30). 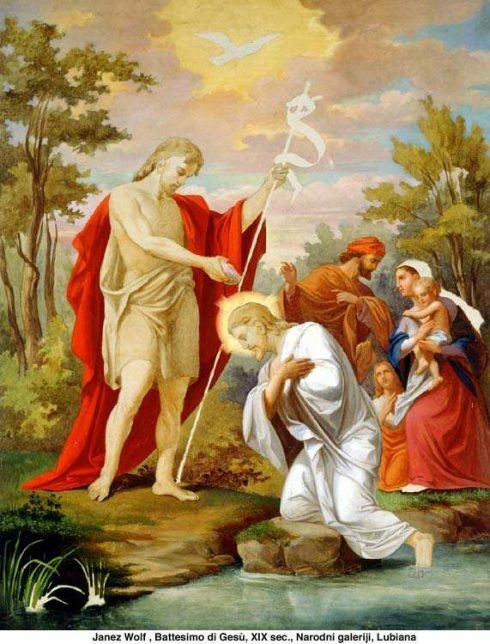 Whilst baptizing, John, lest the people might think “that perhaps he might be the Christ” (Luke, iii, 15), did not fail to insist that his was only a forerunner’s mission: “I indeed baptize you with water; but there shall come one mightier than I, the latchet of whose shoes I am not worthy to loose: he shall baptize you with the Holy Ghost and with fire: whose fan is in his hand and he will purge his floor; and will gather the wheat into his barn, but the chaff he will burn with unquenchable fire” (Luke, iii, 16, 17). Whatever John may have meant by this baptism “with fire”, he, at all events, in this declaration clearly defined his relation to the One to come. Here it will not be amiss to touch on the scene of the Precursor’s ministry. The locality should be sought in that part of the Jordan valley (Luke, iii, 3) which is called the desert (Mark, i, 4). Two places are mentioned in the Fourth Gospel in this connection: Bethania (John, i, 28) and Ennon (A. V. AEnon, John, iii, 23). As to Bethania, the reading Bethabara, first given by Origen, should be discarded; but the Alexandrine scholar perhaps was less wrong in suggesting the other reading, Bethara, possibly a Greek form of Betharan; at any rate, the site in question must be looked for “beyond the Jordan” (John, i, 28). The second place, Ennon, “near Salim” (John, iii, 23), the extreme northern point marked in the Madaba mosaic map, is described in Eusebius’s “Onomasticon” as being eight miles south of Seythopolis (Beisan), and should be sought probably at Ed-Deir or El-Ftur, a short distance from the Jordan (Lagrange, in “Revue Biblique”, IV, 1895, pp. 502-05). Moreover, a long-standing tradition, traced back to A.D. 333, associates the activity of the Precursor, particularly the Baptism of the Lord, with the neighbourhood of Deir Mar-Yuhanna (Qasr el- Yehud). 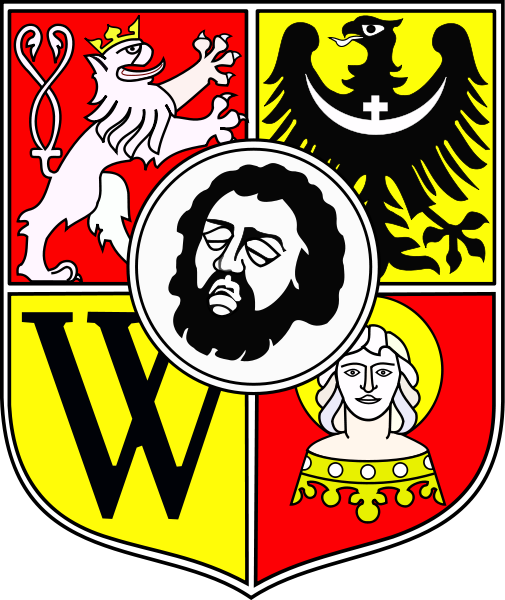 The Coat of arms of the City of Wrocław, Poland, which features the severed head of St. John the Baptist, the city’s patron Saint. The Precursor had been preaching and baptizing for some time (just how long is not known), when Jesus came from Galilee to the Jordan, to be baptized by him. Why, it might be asked, should He “who did no sin” (I Pet., ii, 22) seek John’s “baptism of penance for the remission of sins” (Luke, iii, 3)? The Fathers of the Church answer very appropriately that this was the occasion preordained by the Father when Jesus should be manifested to the world as the Son of God; then again, by submitting to it, Jesus sanctioned the baptism of John. “But John stayed him, saying: I ought to be baptized by thee, and comest thou to me?” (Matt., iii, 14). These words, implying, as they do, that John knew Jesus, are in seeming conflict with a later declaration of John recorded in the Fourth Gospel: “I knew him not” (John, i, 33). Most interpreters take it that the Precursor had some intimation of Jesus being the Messias: they assign this as the reason why John at first refused to baptize him; but the heavenly manifestation had, a few moments later, changed this intimation into perfect knowledge. “And Jesus answering, said to him: Suffer it to be so now. For so it becometh us to fulfil all justice. Then he suffered him. And Jesus being baptized, forthwith came out of the water: and lo, the heavens were opened to him. . .And, behold, a voice from heaven, saying: This is my beloved Son, in whom I am well pleased” (Matt., iii, 15-17). After this baptism, while Jesus was preaching through the towns of Galilee, going into Judea only occasionally for the feast days, John continued his ministry in the valley of the Jordan. It was at this time that “the Jews sent from Jerusalem priests and Levites to him, to ask him: Who are thou? And he confessed, and did not deny: and he confessed: I am not the Christ. And they asked him: What then? Art thou Elias? And he said: I am not. Art thou the prophet? And he answered: No. They said, therefore, unto him: Who are thou, that we may give an answer to them that sent us? What sayest thou of thyself? He said: I am the voice of one crying in the wilderness, make straight the way of the Lord, as said the prophet Isaias” (John, i, 19-23). John denied he was Elias, whom the Jews were looking for (Matt., xvii, 10; Mark, ix, 10). Nor did Jesus admit it, though His words to His disciples at first sight seem to point that way; “Elias indeed shall come, and restore all things. But I say to you, that Elias is already come” (Matt., xvii, 11; Mark, ix, 11-12). 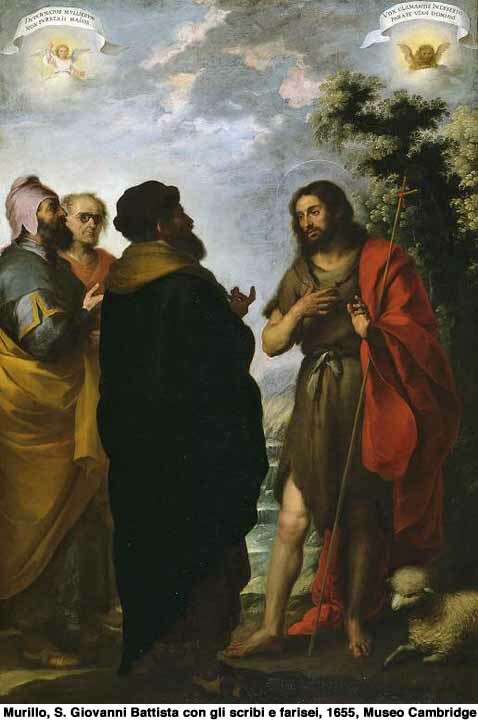 St. Matthew notes “the disciples understood, that he had spoken to them of John the Baptist” (Matt., xvii, 13). This was equal to saying, “Elias is not to come in the flesh.” But, in speaking of John before the multitude, Jesus made it plain that he called John Elias figuratively: “If you will receive it, he is Elias that is to come. He that hath ears to hear, let him hear” (Matt., xi, 14, 15). This had been anticipated by the angel when, announcing John’s birth to Zachary, he foretold that the child would go before the Lord “in the spirit and power of Elias” (Luke, i, 17). “The next day, John saw Jesus coming to him and he saith: Behold the Lamb of God, behold him who taketh away the sin of the world. This is he of whom I said: After me there cometh a man, who is preferred before me: because he was before me. . .that he may be made manifest in Israel, therefore am I come baptizing with water.. ..And I knew him not; but he who sent me to baptize with water, said to me: He upon whom thou shalt see the Spirit descending, and remaining upon him, he it is that baptizeth with the Holy Ghost. And I saw, and I gave testimony, that this is the Son of God” (John, i, 20-34). Sermon of St John the Baptist by Frans II Francken. Among the many listeners flocking to St. John, some, more deeply touched by his doctrine, stayed with him, thus forming, as around other famous doctors of the law, a group of disciples. These he exhorted to fast (Mark, ii, 18), these he taught special forms of prayer (Luke, v, 33; xi, 1). Their number, according to the pseudo-Clementine literature, reached thirty (Hom. ii, 23). Among them was Andrew of Bethsaida of Galilee (John, i, 44). One day, as Jesus was standing in the distance, John, pointed Him out, repeated his previous declaration: “Behold the Lamb of God”. Then Andrew, with another disciple of John, hearing this, followed Jesus (John, i, 36-38). The account of the calling of Andrew and Simon differs materially from that found in St. Matthew, St. Mark, and St. Luke; yet it should be noticed that St. Luke, in particular, so narrates the meeting of the two brothers with the Saviour, as to let us infer they already knew Him. Now, on the other hand, since the Fourth Evangelist does not say that Andrew and his companions forthwith left their business to devote themselves exclusively to the Gospel or its preparation, there is clearly no absolute discordance between the narration of the first three Gospels and that of St. John. The Precursor, after the lapse of several months, again appears on the scene, and he is still preaching and baptizing on the banks of the Jordan (John, iii, 23). Jesus, in the meantime, had gathered about Himself a following of disciples, and He came “into the land of Judea: and there He abode with them, and baptized” (John, iii, 22), — “though Jesus himself did not baptize, but his disciples” (John, iv, 2). — “There arose a question between some of John’s disciples and the Jews [the best Greek texts have “a Jew”] concerning purification” (John, iii, 25), that is to say, as is suggested by the context, concerning the relative value of both baptisms. The disciples of John came to him: “Rabbi, he that was with thee beyond the Jordan, to whom thou gavest testimony, behold he baptizeth, and all men come to him” (John, iii, 26-27). They undoubtedly meant that Jesus should give way to John who had recommended Him, and that, by baptizing, He was encroaching upon the rights of John. “John answered and said: A man cannot receive anything, unless it be given him from heaven. You yourselves do bear me witness, that I said, I am not Christ, but that I am sent before him. He that hath the bride is the bridegroom: but the friend of the bridegroom, who standeth and heareth him, rejoiceth with joy because of the bridegroom’s voice. This my joy, therefore, is fulfilled. He must increase, but I must decrease. He that cometh from above, is above all. He that is of the earth, of the earth he is, and of the earth he speaketh. He that cometh from heaven, is above all. And what he hath seen and heard, that he testifieth. . .” (John, iii, 27-36). The above narration recalls the fact before mentioned (John, i, 28), that part of the Baptist’s ministry was exercised in Perea: Ennon, another scene of his labours, was within the borders of Galilee; both Perea and Galilee made up the tetrarchy of Herod Antipas. This prince, a son worthy of his father Herod the Great, had married, likely for political reasons, the daughter of Aretas, king of the Nabathaeans. But on a visit to Rome, he fell in love with his niece Herodias, the wife of his half-brother Philip (son of the younger Mariamne), and induced her to come on to Galilee. When and where the Precursor met Herod, we are not told, but from the synoptic Gospels we learn that John dared to rebuke the tetrarch for his evil deeds, especially his public adultery. Herod, swayed by Herodias, did not allow the unwelcome reprover to go unpunished: he “sent and apprehended John and bound him in prison”. Josephus tell us quite another story, containing perhaps also an element of truth. “As great crowds clustered around John, Herod became afraid lest the Baptist should abuse his moral authority over them to incite them to rebellion, as they would do anything at his bidding; therefore he thought it wiser, so as to prevent possible happenings, to take away the dangerous preacher. . .and he imprisoned him in the fortress of Machaerus” (Antiq., XVIII, v, 2). Whatever may have been the chief motive of the tetrarch’s policy, it is certain that Herodias nourished a bitter hatred against John: “She laid snares for him: and was desirous to put him to death” (Mark, vi, 19). Although Herod first shared her desire, yet “he feared the people: because they esteemed him as a prophet” (Matt., xiv, 5). After some time this resentment on Herod’s part seems to have abated, for, according to Mark, vi, 19,20, he heard John willingly and did many things at his suggestion. At Ein Karem, Jerusalem, Israel, the Catholic Church of St. John the Baptist, on the site where his birth.Photo by David Shankbone. John, in his fetters, was attended by some of his disciples, who kept him in touch with the events of the day. He thus learned of the wonders wrought by Jesus. At this point it cannot be supposed that John’s faith wavered in the least. Some of his disciples, however, would not be convinced by his words that Jesus was the Messias. Accordingly, he sent them to Jesus, bidding them say: “John the Baptist hath sent us to thee, saying: Art thou he that art to come; or look we for another? (And in that same hour, he cured many of their [the people’s] diseases, and hurts, and evil spirits; and to many that were blind he gave sight.) And answering, he said to them: Go and relate to John what you have hard and seen: the blind see, the lame walk, the lepers are made clean, the deaf hear, the dead rise again, to the poor the gospel is preached: and blessed is he whosoever shall not be scandalized in me” (Luke, vii, 20-23; Matt., xi, 3-6). How this interview affected John’s disciples, we do not know; but we do know the encomium it occasioned of John from the lips of Jesus: “And when the messengers of John were departed, he began to speak to the multitudes concerning John. What went ye out into the desert to see? A reed shaken with the wind?” All knew full well why John was in prison, and that in his captivity he was more than ever the undaunted champion of truth and virtue.-“But what went you out to see? A man clothed in soft garments? 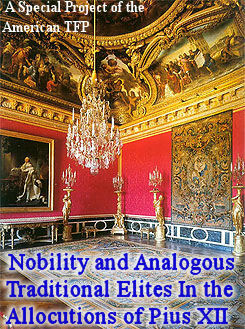 Behold they that are in costly apparel, and live delicately, are in the houses of kings. But what went you out to see? A prophet? Yea, I say to you, and more than a prophet. This is he of whom it is written: Behold, I send my angel before thy face, who shall prepare thy way before thee. For I say to you: Amongst those that are born of women, there is not a greater prophet than John the Baptist” (Luke, vii, 24-28). And continuing, Jesus pointed out the inconsistency of the world in its opinions both of himself and his precursor: “John the Baptist came neither eating bread nor drinking wine; and you say: He hath a devil. The Son of man is coming eating and drinking: and you say: Behold a man that is a glutton and a drinker of wine, a friend of publicans and sinners. And wisdom is justified by all her children” (Luke, vii, 33-35). 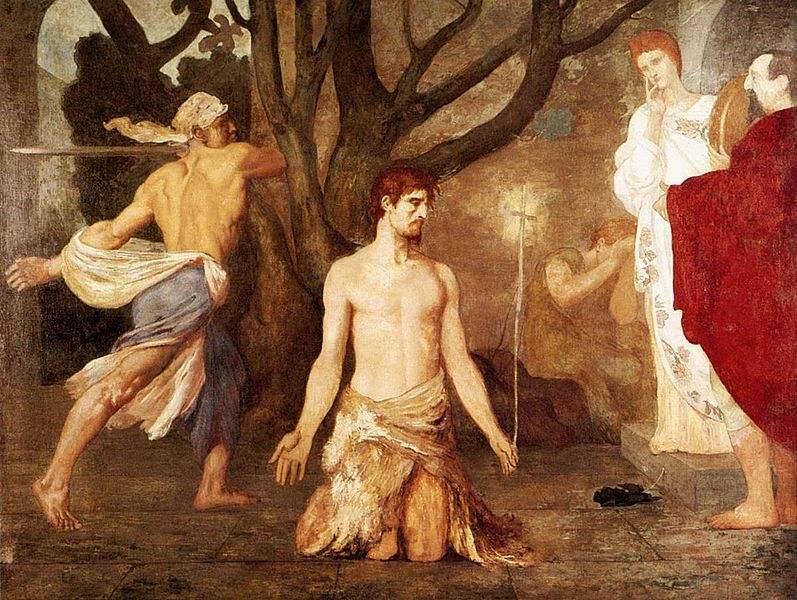 The Beheading of St John the Baptist, painted by Pierre Puvis de Chavannes. St. John languished probably for some time in the fortress of Machaerus; but the ire of Herodias, unlike that of Herod, never abated: she watched her chance. It came at the birthday feast which Herod, after Roman fashion, gave to the “princes, and tribunes, and chief men of Galilee. And when the daughter of the same Herodias [Josephus gives her name: Salome] had come in, and had danced, and pleased Herod and them that were at table with him, the king said to the damsel: Ask of me what thou wilt, and I will give it thee. . .Who when she was gone out, said to her mother, what shall I ask? But she said: The head of John the Baptist. And when she was come in immediately with haste to the king, she asked, saying: I will that forthwith thou give me in a dish, the head of John the Baptist. And the king was struck sad. Yet because of his oath, and because of them that were with him at table, he would not displease her: but sending an executioner, he commanded that his head should be brought in a dish: and gave it to the damsel, and the damsel gave it to her mother” (Mark, vi, 21-28). Thus was done to death the greatest “amongst them that are born of women”, the prize awarded to a dancing girl, the toll exacted for an oath rashly taken and criminally kept (St. Augustine). At such an unjustifiable execution even the Jews were shocked, and they attributed to Divine vengeance the defeat Herod sustained afterwards at the hands of Aretas, his rightful father-in-law (Joseph., loc. cit.). John’s disciples, hearing of his death, “came, and took his body, and laid it in a tomb” (Mark, vi, 29), “and came and told Jesus” (Matt., xiv, 12). 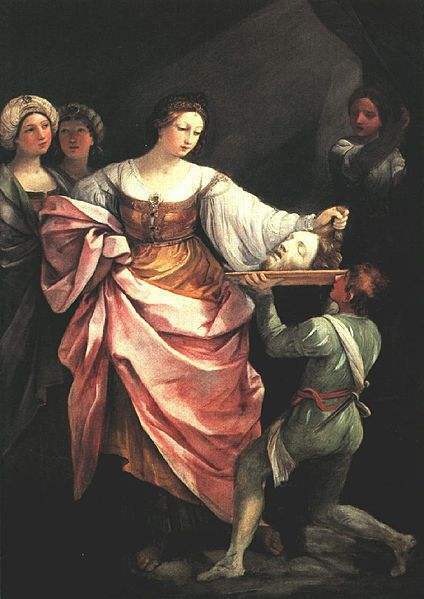 Salome with the head of St John the Baptist, painting by Guido Reni. The lasting impression made by the Precursor upon those who had come within his influence cannot be better illustrated than by mentioned the awe which seize upon Herod when he heard of the wonders wrought by Jesus who, in his mind, was not other than John the Baptist come to life (Matt., xiv, 1, 2, etc.). The Precursor’s influence did not die with him. It was far-reaching, too, as we learn from Acts, xviii, 25; xix, 3, where we find that proselytes at Ephesus had received from Apollo and others the baptism of John. Moreover, early Christian writers speak of a sect taking its name from John and holding only to his baptism. The date of John the Baptist’s death, 29 August, assigned in the liturgical calendars can hardly be relied upon, because it is scarcely based upon trustworthy documents. His burial-place has been fixed by an old tradition at Sebaste (Samaria). But if there be any truth in Josephus’s assertion, that John was put to death at Machaerus, it is hard to understand why he was buried so far from the Herodian fortress. Still, it is quite possible that, at a later date unknown to us, his sacred remains were carried to Sebaste. At any rate, about the middle of the fourth century, his tomb was there honoured, as we are informed on the testimony of Rufinus and Theodoretus. 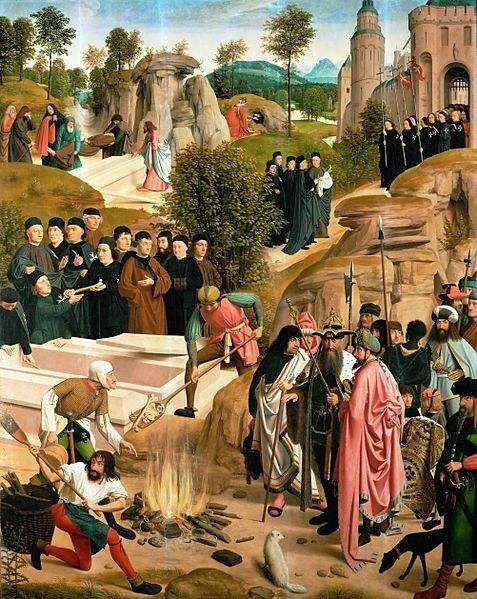 These authors add that the shrine was desecrated under Julian the Apostate (c. A.D. 362), the bones being partly burned. A portion of the rescued relics were carried to Jerusalem, then to Alexandria; and there, on 27 May, 395, these relics were laid in the gorgeous basilica just dedicated to the Precursor on the site of the once famous temple of Serapis. The tomb at Sebaste continued, nevertheless, to be visited by pious pilgrims, and St. Jerome bears witness to the miracles there wrought. Perhaps some of the relics had been brought back to Sebaste. Other portions at different times found their way to many sanctuaries of the Christian world, and long is the list of the churches claiming possession of some part of the precious treasure. What became of the head of the Precursor is difficult to determine. Nicephorus (I, ix) and Metahrastes say Herodias had it buried in the fortress of Machaerus; others insist that it was interred in Herod’s palace at Jerusalem; there it was found during the reign of Constantine, and thence secretly taken to Emesa, in Phoenicia, where it was concealed, the place remaining unknown for years, until it was manifested by revelation in 453. In the many and discordant relations concerning this relic, unfortunately much uncertainty prevails; their discrepancies in almost every point render the problem so intricate as to baffle solution. This signal relic, in whole or in part, is claimed by several churches, among them Amiens, Nemours, St-Jean d’Angeli (France), S. Silvestro in Capite (Rome). This fact Tillemont traces to a mistaking of one St. John for another, an explanation which, in certain cases, appears to be founded on good grounds and accounts well for this otherwise puzzling multiplication of relics. The Remains of St. John the Baptist being destroyed. The honour paid so early and in so many places to the relics of St. John the Baptist, the zeal with which many churches have maintained at all times their ill-founded claims to some of his relics, the numberless churches, abbeys, towns, and religious families placed under his patronage, the frequency of his name among Christian people, all attest the antiquity and widespread diffusion of the devotion to the Precursor. The commemoration of his Nativity is one of the oldest feasts, if not the oldest feast, introduced into both the Greek and Latin liturgies to honour a saint. But why is the feast proper, as it were, of St. John on the day of his nativity, whereas with other saints it is the day of their death? Because it was meant that the birth of him who, unlike the rest, was “filled with the Holy Ghost even from his mother’s womb”, should be signalized as a day of triumph. 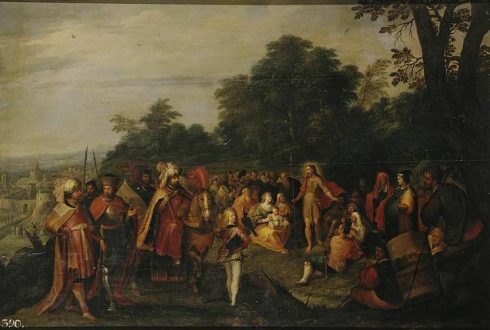 The celebration of the Decollation of John the Baptist, on 29 August, enjoys almost the same antiquity. We find also in the oldest martyrologies mention of a feast of the Conception of the Precursor on 24 September. But the most solemn celebration in honour of this saint was always that of his Nativity, preceded until recently by a fast. Many places adopted the custom introduced by St. Sabas of having a double Office on this day, as on the day of the Nativity of the Lord. 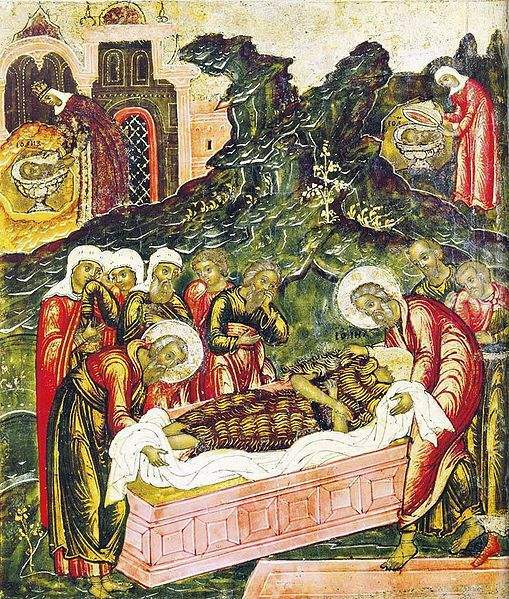 The burial of the body of St. John the Baptist. The first Office, intended to signify the time of the Law and the Prophets which lasted up to St. John (Luke, xvi, 16), began at sunset, and was chanted without Alleluia; the second, meant to celebrate the opening of the time of grace, and gladdened by the singing of Alleluia, was held during the night. The resemblance of the feast of St. John with that of Christmas was carried farther, for another feature of the 24th of June was the celebration of three masses: the first, in the dead of night, recalled his mission of Precursor; the second, at daybreak, commemorated the baptism he conferred; and the third, at the hour of Terce, honoured his sanctity. The whole liturgy of the day, repeatedly enriched by the additions of several popes, was in suggestiveness and beauty on a part with the liturgy of Christmas. So sacred was St. John’s day deemed that two rival armies, meeting face to face on 23 June, by common accord put off the battle until the morrow of the feast (Battle of Fontenay, 841). “Joy, which is the characteristic of the day, radiated from the sacred precincts. The lovely summer nights, at St. John’s tide, gave free scope to popular display of lively faith among various nationalities. Scared had the last rays of the setting sun died away when, all the world over, immense columns of flame arose from every mountain-top, and in an instant, every town, and village, and hamlet was lighted up” (Guéranger). The custom of the “St. John’s fires”, whatever its origin, has, in certain regions, endured unto this day. 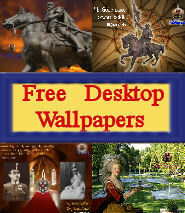 Besides the Gospels and the Commentaries thereon, JOSEPHUS and the many Lives of Christ, EUSEBIUS, Hist. Eccl., I, xi; Acta pour servir a l’histoire eccles., I (Brussels, 1732), 36-47; notes p. 210-222; HOTTINGER, Historia Orientalis (Zurich, 1660), 144-149; PACIANDI, De cultu J. Baptistae in Antiq. Christ., III (Rome, 1755); LEOPOLD, Johannes der Taufer (Lubeck, 1838); CHIARAMONTE, Vita di San Giovanni Battista (Turin, 1892); YESTIVEL, San Juan Bautista (Madrid, 1909).